Jews should always avoid writing on history. Because of their extreme ethnic bias they can produce only the most self serving twaddle. This is no more evident than in their Jewish Virtual Library post concerning Henry Ford. The mere title of the post expresses its falsification of history. Ford neither invented a Jewish conspiracy nor the International Jewish Conspiracy. In the course of events he was swept up into the Jewish War against Europeans much against his wishes. The JVL isn’t even capable of putting Ford and the auto industry into a historical context without which Ford’s actions cannot be understood. Among the many battle events that appeared after 1900 was that of the bankers versus modern industry. There were of course Aryan banking firms and Jewish banking firms, at the time quite distinct from each other and in competition on an ethnic basis. The railroad industry had dominated the banker’s attention in the nineteenth century thus they pooh poohed and disparaged new industries such as that of autos. Both Jewish and Aryan banking firms refused to loan to the auto makers so the makers in turn developed new methods that freed them from dependence on loans from bankers while still allowing them to develop rapidly without interference from bankers. The two stellar auto makers were Henry Ford at Ford Motors and William C. Durant at Buick. Durant, perhaps the most imaginative auto genius but an inveterate over reacher attempted to gather the most prominent auto makers into a combine he called General Motors with which Ford initially flirted. Now after 1910 when autos seemed to be a permanent fixture and Durant overextended himself the bankers moved in and pushed Durant out. Now as several recent bailouts attest bankers don’t even know how to run banks much less than an auto company in the teens. Under the bankers Buick stood still while Ford shot ahead. Durant regrouped using the auto of Louis Chevrolet to reenter the field while using its success to recapture Buick and regenerate General Motors. Ever expansive he once again overextended himself being forced out once more. This time the bankers installed an auto maker management that made GM a success capable of challenging and surpassing Ford. While this was going on WWI was being fought. Woodrow Wilson then president was a socialist so that when the US entered the war in 1917 the government seized either control or direction of industry. The rails were nationalized while industry in general fell under government controls administered by an agency called the War Industries Board, the WIB. One of Ford’s supposed faults according to the JVL was that he was opposed to government regulation of business. True, but so were all industrialists and such opposition could only be considered a fault by Communists qua socialists. The WIB was the agent of that regulation. Now, whether the writers of the JVL like it or not it is a fact that Warburg came to the United States where he immediately organized the Federal Reserve System that was owned as a private enterprise by these so-called Socialists by nine international Jewish banking firms plus Rockefeller. This is an undeniable fact. The Federal Reserve controlled, and still controls, US currency lending it to the US for use. Thus the dollar was a Jewish financial instrument for the use of which US taxpayers paid the Jewish owned Federal Reserve System interest every year. Apparently the Jews thought Ford and others were ignorant of what was happening. Quite fatuous on their part. While, as I understand it, the Jews still deny that Wilson brought rafts of Jews into government beginning with his inauguration in 1913. In 1917 the WIB board was virtually a Jewish agency. This was all known at the time but strenuously denied by the Jews. Its director was Bernard Baruch who became the grand old Jewish advisor of presidents later in life. 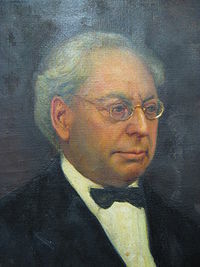 Wilson appointed the first Jew, Louis Brandeis, to the Supreme Court. Brandeis, an ardent Zionist, was reputed to be the wisest of the wise, the sagest of the sage and a universal genius. FDR, a disciple of Wilson in these years, would brand Brandeis during his own administration ‘our Isaiah.’ So while the writers of JVL may simper because ‘rumors were dredged up’ that Wilson took ‘secret’ orders from Brandeis over the phone, while deleting the pejorative word secret, it is not unlikely that Wilson did discuss situations with the ‘wisest of the wise’ whether over the phone or face to face. Nothing would be more likely. 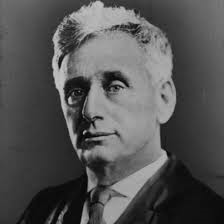 Indeed, the Jews so loved Justice Brandeis that they named their national university in the US Brandeis University after him. He and the arch criminal Arnold Rothstein were the big Jewish men of he teens and twenties. Just recently the Jews opened a ‘national’ museum in Las Vegas celebrating Rothstein and other specifically Jewish criminals. While the railroads were nationalized the Wilson Administration demanded that the major industries file financial statements and business plans with the WIB. The auto industry objected to this rightly believing that through the Jews who ran the WIB their industrial knowledge would pass into the hands of the Jews giving them an inestimable advantage. One imagines that the JVL will pooh pooh this yet it remains true that at the end of WWII the Alien Properties Board that controlled the confiscated properties of the Germans and Japanese valued into the billions was directed by the Jew David Bazelon who sold these properties without bids to his fellow Jews at less than fire sale prices making their post-war fortunes while robbing American tax payers. The auto makers then were right to protest these regulations. They, especially the Dodge brothers, did so vociferously while using intemperate racial slurs directed at Baruch that Baruch later rapaid when the Dodge Brothers both died mysterious deaths in 1920. There was even an attempt made on Ford’s life. 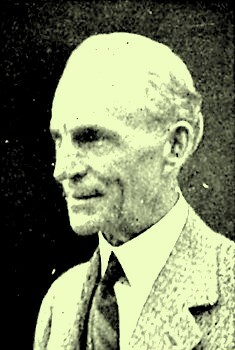 After the war friction between Ford and his major stockholder James Couzens was such that Ford was forced to buy him out. Not having the necessary cash he was forced to violate his principles and go to the bankers. They shortly called the loan that Ford was unable to meet on short notice. However by drastic reorganization of his business he was able to meet the loan this thwarting a Jewish attempt to take over Ford Motors. Harboring resentments he was now his own man. As a major condemnation the JVL says that: ‘He opposed various symbols of social and cultural change aound him, including Hollywood movies, out of house child care, government regulation of business, Eastern European immigration and new styles in dress and music. Consider these defamatory ‘sins’ in the context of the times. Hollywood movies were under constant attack during the teens and twenties. There were many local moves to ban them. Carl Laemmle of Universal, himself a Jew, even pledged to make no more anti-Semitic movies. The Catholic leagues were pressing for censorship. In 1921 in an effort to quiet criticism Hollywood itself established the Hays Office to censor themselves. Self-censorship is always especially effective. 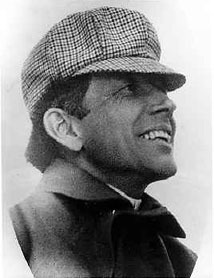 Will Hays, Harding’s very effective Postmaster General, was lured away at a royal salary of millions in today’s currency to run it. So Ford opposed the immorality of Hollywood movies? Then he was on the right side. He opposed government regulation of business? Well, Harding and the Republican Interregnum of 1920 to 1933 repudiated Wilsonian socialism returning the railroads to private hands and returning the twenties to the most laissez-faire period of American business. Once again Ford was on the right side. Ford opposed Eastern European immigration? Eastern European is code for Jews. The Jews were in the process of organizing the whole of European Jewry for transportation to the US. Reacting to this the country passed restrictive laws in 1921 and 1924 thwarting the Jewish plan. Once again Ford was in tune with universal sentiment. Me thinketh that Jewish protests are spurious. As for new styles in dress and music neither did these new modes go unchallenged by a vociferous public while as a young boy in Michigan in the late forties we were still under the influence of Ford’s musical taste singing folk songs on a daily basis in class. One might then without too much of a stretch claim that Ford was the father of the folk revival of the fifties and sixties. 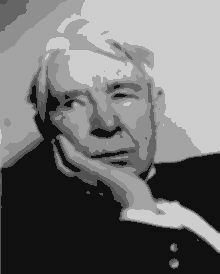 It will be remembered that Carl Sandburg published his compendium of old timey songs in this period also. So, really, the writers of the Jewish Virtual Library ought to either develop better research methods or lose some their ethnocentric chauvinism and xenophobia. Ford, then, may fairly be said to have been in a contest not of his own making with the Jews when he began to publish his newspaper the Dearborn Independent. The implication in the Jewish Virtual Library article is that Ford was some insane irate individual crazed lone wolf anti-Semite. Once again, placed in the historical context of the times this accusation is completely false. In fact the Communist Revolution in Russia created a huge furor with large factions in all European countries pointing to the huge involvement of Jews in not only the successful revolution in Russia but all the failed national revolutions of Europe and yes, that of the US. The evidence was overwhelming, denial was absurd, however that was the tack the Jews took. Jewish damage controllers rushed into the fray howling anti-Semitic charges right, left and down the middle. As a centerpiece they chose a negligible manifesto culled from earlier Jewish writings called the Protocols Of The Learned Elders Of Zion. The Protocols was a pale imitation of Marx’s Communist Manifesto, hardly worth bothering about. Certainly it was amateurish next to the total Jewish assault on Western Culture led by the Frankfurt School of Critical Theory that would continue from the early twenties through today backed by the emerging technologies of movies, radio and TV. The Jews still talk about the Protocols as some sort of horror. Ford should have dismissed the book as some sort of Jewish folly but he took it seriously and actually published it as the first volume of his four volume series of essays, The International Jew. Ford’s use of he term international Jews did not refer to all Jews. Ford himself was tolerant of all religions and nationalities including the Negroes, more than he should have been. Ford’s point was that there was a cadre of international Jewish politicians just as there was an international Communist conspiracy. This cadre of Jewish politicians was easily identifiable although Ford did not name them, probably because they would sue him as he nevertheless was three times. For a confirmation of Ford’s allegations read my post linked above. Louis Marshall who was the international Jewish secretary of state confirms Ford’s analysis in his collected letters. Now, Cameron’s essays approved by Ford were not wild eyed anti-Semitic rantings as the JVL claims but were well researched documented essays concerning Jewish involvement in specific areas of American society. Ford amassed a several thousand volume library of Jewish writings pro and con that were at Cameron‘s hand. When Ford discontinued his contest with the Jews he asked them what he was to do with the library. He was absolutely disgusted when he was told to donate the library to the Jewish Theological Seminary in Cincinnati. Whatever became of the library is not known. The articles were however ‘critical theory’ of Jewish activities making them unforgivable in Jewish eyes. Thus, the astonishing campaign of vilification against Ford, slanderous, vile and mean spirited. The International Jew articles are readily available for reading on the internet today for the inspection of the curious. Finally, the JVL asserts: Ford’s attempt to prevent unionism at his plants produced strikes and violence, mostly provoked by Ford’s own strike breakers. While it is true that Ford saw no need for unions as he believed that he took better care of his employee’s interests than any union thugs could. Ford was the first industrialist to ensure a clean, well lighted, airy work environment for his employees. Even in the Communist Charlie Chaplin’s parody of Ford’s assembly line in his movie Modern Times the line was immaculate. You could eat off the floor. Ford’s line was designed so that there would be little bending and stooping. The parts passed by waist high. Taylorite efficiency experts determined the most efficient movements to do a task with maximum efficiency. Every consideration of the employee was taken. I, myself, have worked the line at a GM assembly plant, I know how it is done. I know the human material that has to be managed and it is difficult material. Molding the steel is easier. In addition when Ford realized the money that could be made by efficient operation combined with an unsaturated seemingly inexhaustible demand he voluntarily with no prompting doubled the wages of his employees. From 1914 to the Depression he increased wages so that by the beginning of the Depression he was paying eight dollars a day or better than three times his 1914 wage. The Depression contrived by the Judaeo-Left forced him to lower wages rather than raising them which he would have continued to do. This reduction caused Ford great anxiety as though he had failed his employees. Now, the Reds had never forgiven Ford for doubling wages back in ‘14. They hated him and wanted to destroy that symbol of capitalist efficiency, Ford’s River Rouge plant. While writers such as at the JVL seem to assume that unions were universally favored and Ford was alone in not favoring them, nothing could be further from the truth. Remember the JVL is Jewish fantasy and not history. Workers except for Red doctrinaires didn’t want unions. Unions made little to no headway until the Reds got their man, FDR, into the White House where he passed laws declaring companies and workers had to accept them whether they wanted them or not. Most workers didn’t feel the need for another boss and more fees, taxes by another name, extorted by union thus and they were criminal thugs that nobody can deny. Even today after seventy yeas of favoritism less than 25% of workers belong to unions. Using FDR’s Wagner Act then the Communists organized a march on River Rouge with the express intent of smashing the assembly line and destroying Ford Motors. Of course the writers at the JVL think any thwarting of their wishes is criminal so Ford’s successful defense of his property in their eyes is a criminal offence. Suffice it to say that in the Battle Of The Overpass two opposing armies were fighting a war that Ford won. That the JVL can write such twaddle as the Ford article and hope to pass it off as objective history is amazing. After all, the whole world is not only watching but reading. This will not pass. It is writing such as this at the Jewish Virtual Library that gives the internet a bad name. These people should be ashamed of themselves.